The new full moon is coming, it shines its light on the quiet waters of the pond as to look, search, thinking “no party this month?”. Last new moon it has been something quite different. The Truffula Tree pond hosts every year, around march, the sexiest rave party of the whole wood. 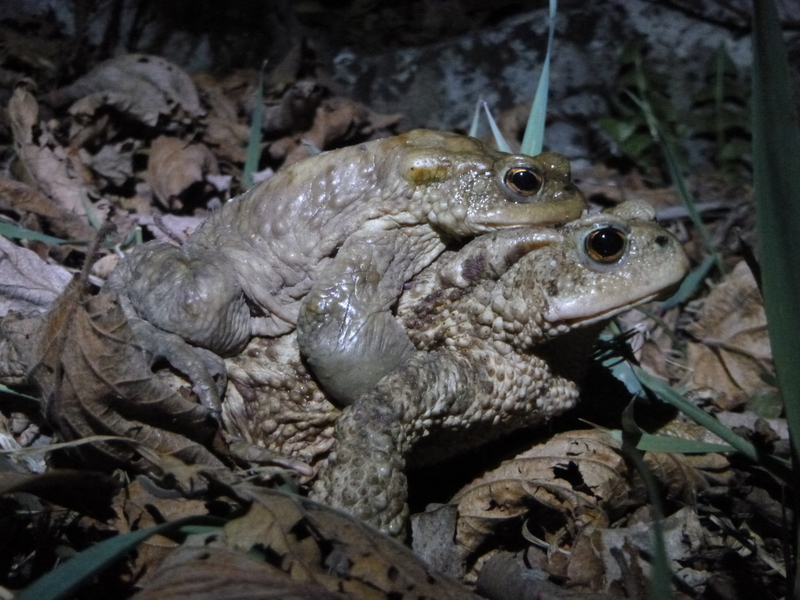 Tons of toads endeavour the long walk (sometimes even kilometres) from their burrows in the wood to come back to the place where they were conceived and born, our pond. 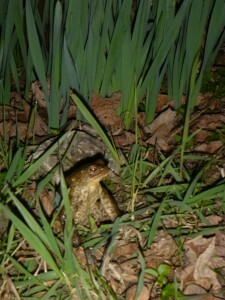 They wait for the full moon, few toads arrive a bit earlier, usually the larger females. They know that there is nothing better than making love under the full moon! 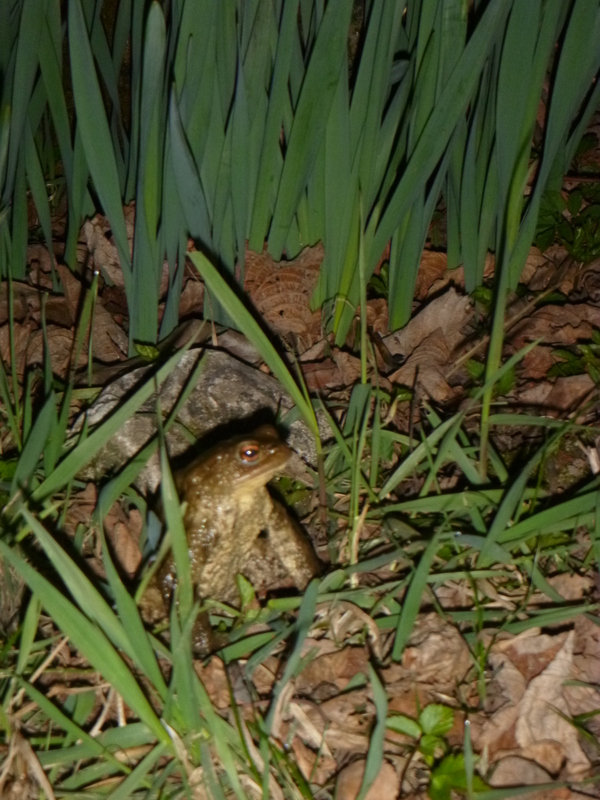 Night by night, the other arrive… there are so many toads that you have to be careful where you put your feet. The biggest party of the year is about to start!! Because the Truffula Tree is located right next to the forest, the toads´ journey is relatively safe, but many other less fortunate toads nowadays need to cross roads to reach their waterbody, with very sad results. 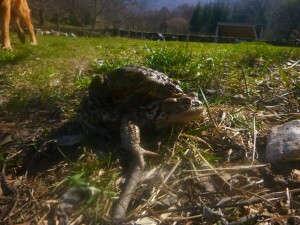 Toads in Vigo have it easy. Mostly they walk across uncultivated field, or along the ancient peddles road built long before the wars, when the wood was cultivated for hay. 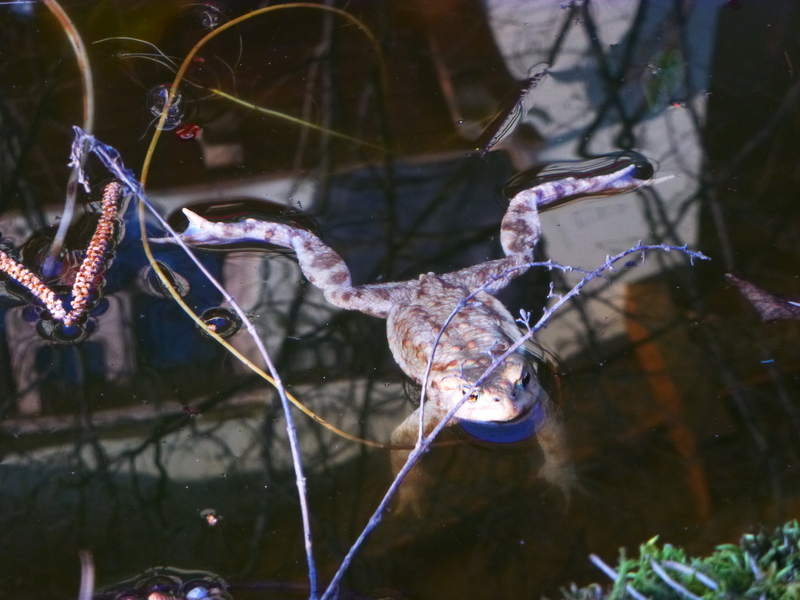 There is only a small stretch of road that leads to the pond, and this year two young caring angels walked right in front of their parents´ car every evening upon their return at home to make sure no toad would be injured. This is our special our guests are! Thank you!!! During the day they either seek shapes beneath the leaves of the plants around the pond or often you can see them chilling and floating in the pond water, clearly tired after the long night of action. 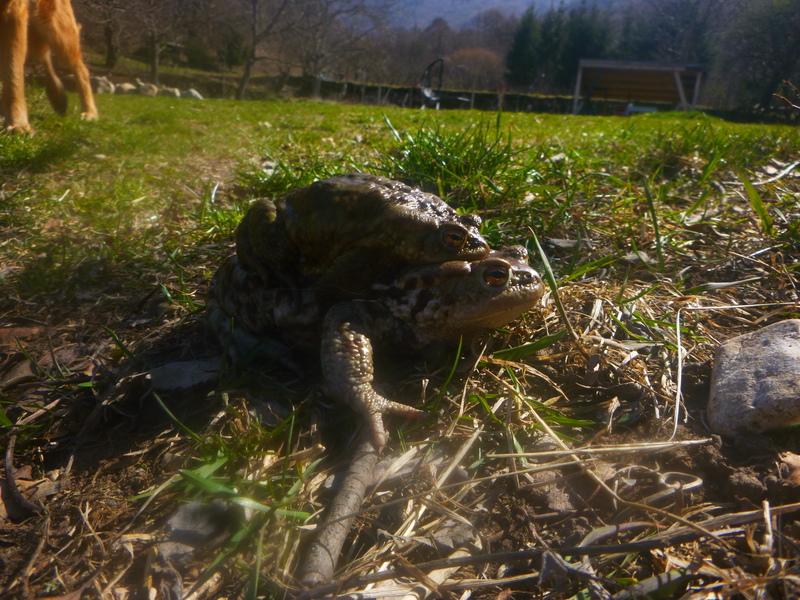 Often you can see the female, usually much larger in size, lazely moving across the grass, with a small toad on her back, that won´t let her go for anything in the world, his princess. 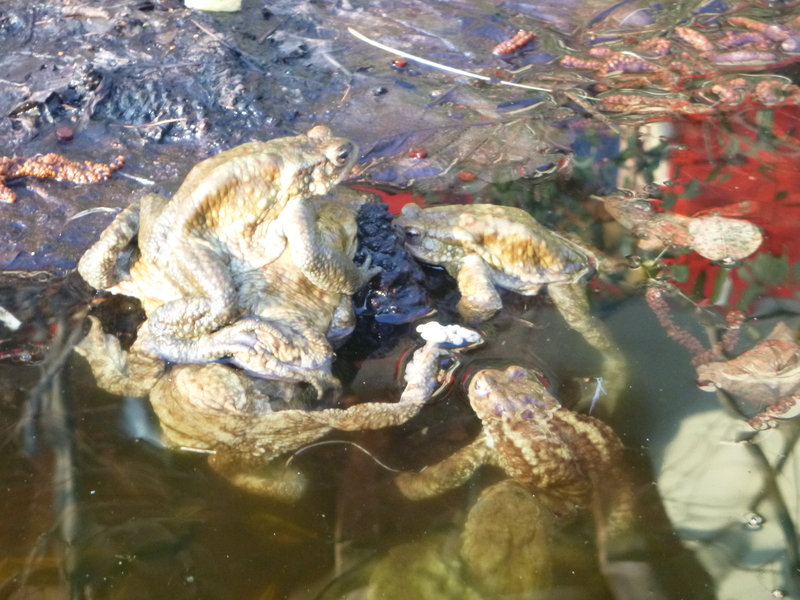 But in the pond, you can see real mountains of toads, just a green confusions on legs and eyes! For about 2/3 weeks, they bring such an animation to the Truffula Tree house, and then silently as they arrived, they cross again the fence of the garden and disappear in the wood, ripristinating their solitary life in the forest. It is said that they can live up to 40 years. As they have been here, using the Truffula pond much before I arrived, I feel like I am now the guardian of their little party venue. 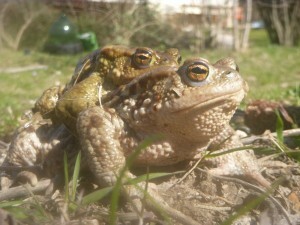 Despite its name, the Common Toad is no longer as common as it once was, and toads are now considered an ‘at risk’, Biodiversity Action Plan (BAP) species, and are protected by law from sale and trade. And what will happen now?? Toadspawn have been laid in long black strings and soon they will hatch into small toadpoles (around 12 days). The new born will dot the pond for about 3 months, continuosly swimming, looking for the plants and insects to eat, slowing metamorphosing into adults. Like the adults, they contain toxins in their skin, which makes them unpleasant to the goldfish present in the pond. Goldfish represent such a treat to wildlife as they are voracious predators, able to eat other other amphibian larvae, like newts young, imparing reproduction! So please do not abandon your goldfish in wild ponds, they will damage the locals! Not even turtles please! 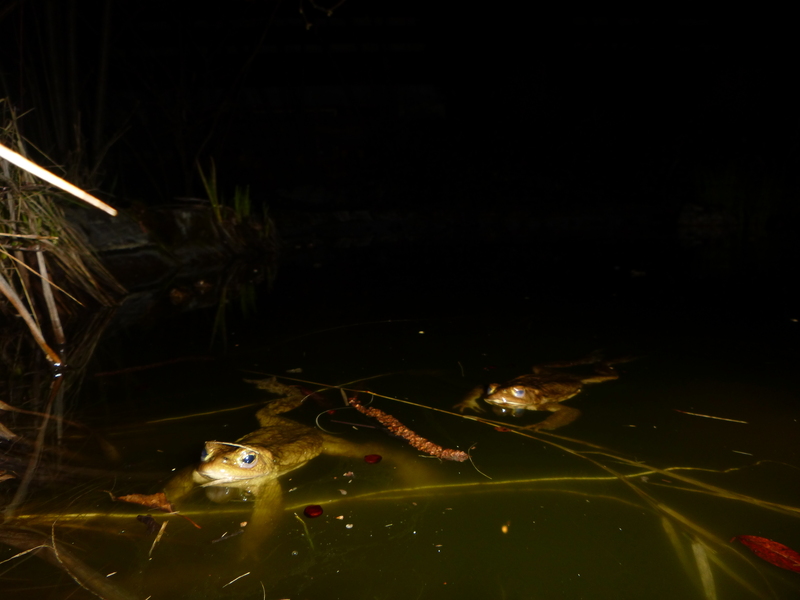 Curiosity: Common toads are most active at night when they hunt, their favourite foods including snails, slugs, ants and spiders.